Debbie Lanin has over 20 years of experience in commercial litigation, including thirteen years clerking in federal court for four different judges. 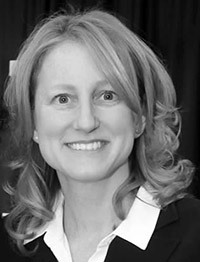 As a law clerk for both a United States District Judge and several United States Magistrate Judges, Debbie has developed a broad understanding of the entire litigation process and has drafted hundreds of decisions on a variety of federal and state issues, including class actions, RICO, ERISA, breach of contract, employment matters, and fraud. Debbie has also taught several classes at Touro Law School, including Legal Research and Writing and a Federal Judicial Externship course. As for the latter, Debbie worked closely with the late Senior District Court Judge Leonard D. Wexler in developing this course. The students’ in-court experience with Judge Wexler was coupled with an intensive federal trial advocacy seminar taught by Debbie. The curriculum, which was constantly adjusted to keep pace with the proceedings in the courtroom, covered everything from jury selection strategies to effective opening and closing statements, taking a case from pleading to trial, discovery disputes, motion practice, oral advocacy, and effective legal negotiation and settlement. Debbie also practiced litigation as an associate at the firms now known as Hogan Lovells and Windels Marx Lane & Mittendorf, LLP in New York City. In addition, she worked as a Senior Legal Consultant at Cyber Diligence, Inc., an eDiscovery firm in New York, where she consulted on all aspects of litigation readiness planning, including collection, processing, review, and production protocols for electronically stored information. Debbie currently has her own litigation practice, specializing in legal research and writing in complex commercial cases. She has presented at numerous law firms and Bar Associations on Long Island on how to draft motions in federal court and the basics of discovery.